The authors noted that asymmetry in posture is associated with degenerative changes in the spine, hip, knee and ankle. The subjects were a group of female university students who did not suffer from pain in the pelvis. The subject’s postures were evaluated. They used 30 subjects and they were divided into two groups. One group received an adjustment and the other group which they called the control did a session of stretching. The adjustment was a prone adjustment “in keeping with Gonstead’s theory” and it appears from the paper that a single adjustment session consisting of an adjustment to the posterior inferior innominate and an adjustment to the anterior superior innominate was performed on the subjects that were in the adjustment group. It also appears that the stretching group did one session of stretching. “The adjustment group obtained significant results in TIM (Trunk imbalance), PPO (Pelvic Position), PTO (Pelvic Torsion) and PSA (Position of Scapulae) while the control group obtained no significant results for any items.” Parentheses ours. 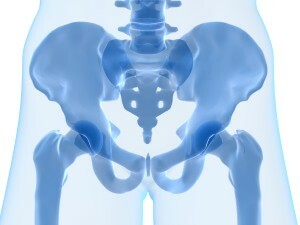 Pelvic adjustment appears to have the ability to change posture. This entry was posted in Knowledge Base and tagged chiropractic, Dr. keefe, Natural Healthcare, tulsa chiropractor by DocJohn. Bookmark the permalink.